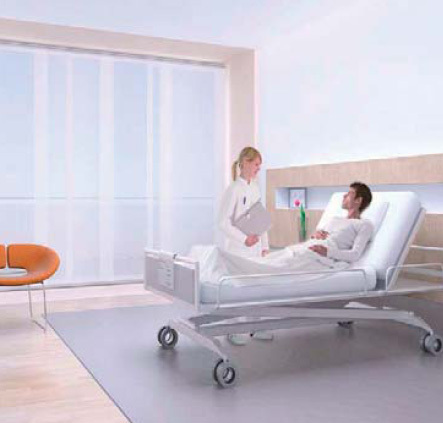 Individuality, independence, comfort and flexibility are the keywords when talking about patient rooms today. Hospitals are slowly coming to realize that patients are reluctant to do without the customs of normal life. For many, choosing a hospital is not just a matter of checking out its medical reputation, the “homeliness” of its wards is another important consideration. And rightly so. After all, most of a patient’s stay in hospital is spent most of their time in a patient room. In rooms for which patients pay a supplement, good lighting is a particularly important competitive asset. 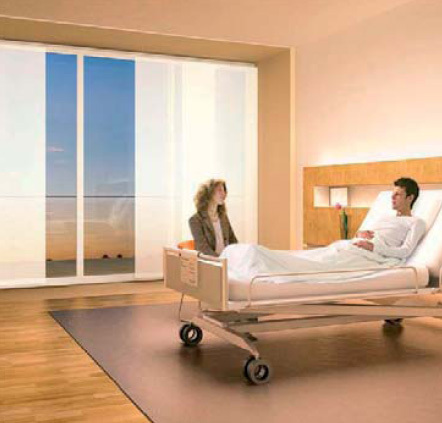 As hospitals change from places for treating the sick into health “service centers”, today it is mostly only the private hospital operators who recognize the key importance of optimum lighting as an element of interior design, but it has and will become a common approach.